Javier Cuñado, designer and director of ITEMdesignworks, has given a masterclass to the students of the subject “Culture of Project II. Languages and Ideologies of Design” conducted by Marcelo Lesbalay, Degree in Engineering in Industrial Design of the University of Deusto. With the title “The Theory of Eclipse in the field of Design” the expert has shared his knowledge on the subject and has provided a global vision of the design. Also, he has divided the masterclass into two parts: theory and practice. Javier Cuñado has dedicated the first part of the talk to underlining theoretical aspects of design and to highlight the way ITEMdesignworks works, including the Collaborative Eclipse Theory and the Collaborative Circle. In addition, he has explained and mention, as an example, the type of projects that we carry out from the consultant. In the second part of the masterclass, the students, guided by Javier, have put into practice everything they have learned, even they have seen practical cases. At this point, the designer wanted to highlight the most relevant ITEMdesignworks projects so that students could understand a real example. The students have shown great interest in the subject and a high involvement and acknowledge in a very enriching experience. 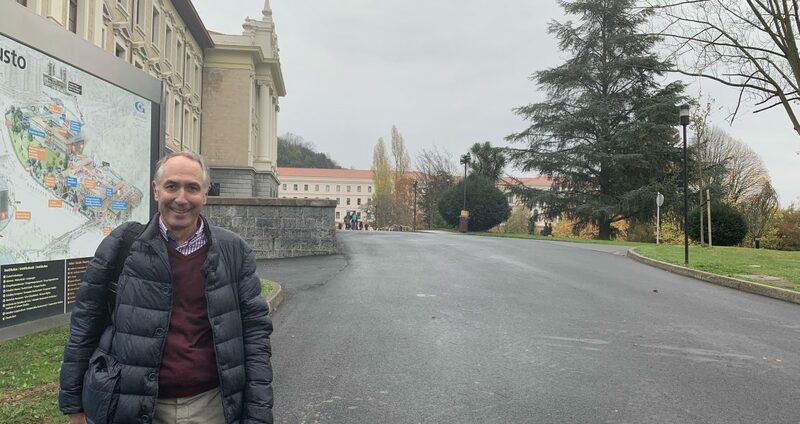 According to Javier Cuñado: “I hope that my career of more than 30 years in the sector will help future generations in an increasingly competitive market. It has been a real pleasure to share this experience with the students of the University of Deusto”.